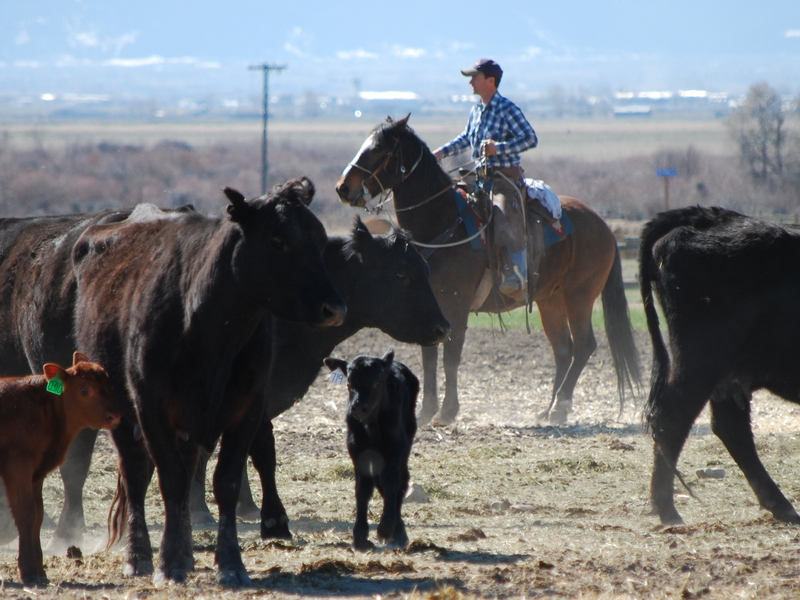 Every rancher we know has a plan–that outlined picture of what the future holds. Some people have it typed and saved on a hard drive, others pencil it out on paper–or scribble it on a napkin– and yet others sketch their plans in their mind map. Whatever the case, we are all aware of what we’d like the future to look like. If we are really honest, we often have two plans–the practical plan and the whoa, I’m dreaming big baby! plan. Usually we file the first and tuck away the second in our underwear drawer so no one will see our outlandish thoughts. Recently, something happened in our own place that defied both plans and made us stop and think: “What do we do with this?” It isn’t on the plan–not even the wild plan. It feels like it’ll really make things better or spiral us toward the polar opposite. Will it be like the time I lost my rope or saved a calf? However, we know that the circumstances in our lives are meant to call to the surface something greater. Our reaction to it can either push us closer to the Someone who designed us or push us deeper into our limited perception of what we alone see. It is often hard in the moment to react the way we wish we would have reacted when we look back at it in the future–unless we look back at past occurrences and practice saying what we wish we’d have said then. In other words, we go back and practice saying the thoughts and ideas that will propel us into the future we picture. This is the snipett that I’m learning to do at least: go back and process past errors, covering them with goodness, and being thankful for the piece they’ve set in my life. For me, trying to do this outside of the arms of God would push me into personal tunnel vision, but I’ve found that Big Hands create Big Things, especially in the area of covering past mistakes. I can’t do it alone. I’ve tried. What a mess! Yet even the messes can be cleaned up and be made new in God’s hands. Some of my biggest foibles, He turned into beauty. Dreaming is good because we consider the possibilities and look forward to the future. So how about we all dream big and pull that “whoa, I’m dreaming big baby!” plan back out and let a little Light be shed on it…especially in the midst of unknowns. Wow, I really needed to read this right now. Your words inspire me and remind me.